Dry socket, also known as alveolar osteitis is a painful dental condition that occurs after a permanent adult tooth such as the wisdom tooth is extracted. A blood clot is formed after a tooth is extracted from the gum. The blood clot acts as a protective layer over the jawbone. If the blood clot is lost or dissolved due to some reason the jaw bone is exposed and the healing process is slowed down. Bacterial infections, chemical factors such as nicotine from tobacco smoke, hormones or aggressive rinsing can cause dry socket. Dry socket pains starts about two to four days after the tooth is extracted. Symptoms of dry socket include throbbing pain at the site of the extracted tooth, bad breath and foul taste in the mouth. In serious cases, the pain may radiate to other parts of the face – head, ears and eyes on the same side of the face. Dry socket is a relatively rare condition that occurs in only 2% patients but serious cases of dry socket can lead to infection. Medicinal treatment for dry socket includes pain medications and antibiotics. 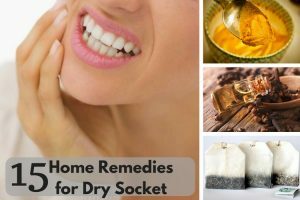 Home remedies for this type of toothache can also be used to relieve the radiating pain, inflammation and bad breath associated with dry socket. A healing cold compress using ice is a time-tested remedy for the throbbing pain associated with dry socket. The cold temperature has a numbing effect on the nerves that helps to alleviate the sensation of pain. Put a few ice cubes inside an ice bag. Place the ice bag directly on your face at the site of the pain. Hold it there for 15 minutes. You can also wet a towel in ice cold water, wring out the excess water and hold the damp towel on your face. Reapply the cold compress 2 to 3 times a day for the first 2 days. Clove oil or eugenol is the most effective remedy for dry socket that frequently used by dentists. The anesthetic and analgesic properties of clove ease the throbbing pain and prevent it from radiating to the rest of the face. Cloves are a great remedy for receding gums as well. Dip a clean cotton swab in clove oil. Place the swab over the socket and leave it on for 1 to 2 minutes. Remove the swab and rinse your mouth with water. Apply clove oil a few times a day for 2 to 3 days. You can also dilute the clove oil with water if you can’t tolerate the sting of the oil. The potent antiseptic properties of tea tree oil not only reduces pain and discomfort but also cuts out the risk of bacterial infection of the gums. It also speeds up the healing of the socket. Immerse a cotton swab in water and the put 1 to 2 drops of tea tree oil on it. Press the swab against the gum with the dry socket. Wait for 5 minutes and then rinse your mouth with water. Repeat this remedy 2 to 3 times a day till the dry socket heals. Saline water rinse acts as a preventive measure against dry socket post tooth extraction. The warmth of the water helps to soothe pain and reduce swelling and the salt kills any bacteria that can cause infection. Start rinsing your mouth with lukewarm saline water 24 hours after tooth extraction. Add 1/2 teaspoon of table salt to a glass of lukewarm water. Stir it with a spoon so that the salt dissolves in the water. Use this saline water to rinse your mouth gently 2 times a day. Turmeric is a powerful antibacterial and anti-inflammatory herb that prevents bacterial infections and reduces inflammation of the exposed jaw bone. Being an analgesic, it helps to deal with the pain and discomfort associated with the dry socket. Take 1/2 teaspoon of turmeric powder in a bowl. Add some water or milk to it to form a thick paste. Use a cotton swab to apply the turmeric paste on the dry socket. Leave it on for 15 minutes and then rinse your mouth with water. Reapply this remedy 2 to 3 times a day till the pain and swelling reduces. Tannic acid found in black tea is a natural antibiotic that prevents infection and reduces pain and swelling of the gums. Unlike warm or cold compress, you can place a cold tea bag directly on the dry socket and ease the discomfort instantly. Dip a tea bag in a cup of hot water. Let the tea steep for 5 minutes. Remove the tea bag from the cup and squeeze out excess liquid. Place the tea bag in the refrigerator for 15 minutes. Apply the cold tea bag over the dry socket. Bite down on the tea bag softly and wait for 10 minutes. Repeat this procedure 1 to 2 times a day. Apple cider vinegar helps to maintain the pH of the mouth at a healthy level the wipes out bacteria in the mouth and reduces the risk of infection. Its anti-inflammatory properties also help to alleviate pain, swelling and discomfort linked to dry socket. Mix equal parts of apple cider vinegar and water in a glass. Use this mixture to rinse your mouth several times a day till the dry socket heals completely. Garlic is yet another popular herb with numerous medicinal properties. The natural antibiotic and anti-inflammatory nature of garlic reduces the risk of bacterial infection and heals pain and swelling of the gums. Take a clove of fresh garlic and place it in your mouth. Crush the garlic with your teeth and let the garlic juice spread over the gum with the dry socket. Wait for 5 minutes and then spit out the clove. Rinse your mouth with water. Repeat this method 2 to 3 times a day for a couple of days. Hydrogen peroxide disinfects the site of the dry socket and prevents further development of bacterial infection and eases the symptoms of dry socket such as throbbing pain, bad breath and foul taste in the mouth. Create a hydrogen peroxide rinse by mixing 1 cup of hydrogen peroxide with 4 cups of water. Use this solution to rinse your mouth 3 to 4 times a day for a couple of days. Valerian root is known for its natural tranquilizing properties. It helps to relax the nerves and tissues of the gums and helps to reduce pain and swelling. It also induces restful sleep that speeds up the healing process. Boil a cup of water and add some dried valerian root to it. Let the roots steep for 10 minutes. Remove the roots and sip on the valerian tea 2 times a day for a few days after teeth extraction. The good bacteria found in fermented foods such as yogurt fights off harmful bacteria that cause infection and promote faster recovery from dry socket. It acts as an antibiotic and helps to restore the balance of microorganisms in your mouth. Consume a cup of yogurt 3 to 4 times a day to alleviate the symptoms significantly. Make it a point to choose unsweetened and unflavored yogurt fortified with active culture. Aloe Vera works as a herbal remedy for dry socket that helps to reduce pain, swelling and inflammation of the jaw bone thanks to its antibacterial, antimicrobial and anti-inflammatory properties. It is also a natural antiseptic that heals the wound and reduces the risk of infection. Cut off an aloe vera leaf from a plant. Use a spoon to extract the gel from the leaf. Collect the gel in a glass bowl and apply it directly over the dry socket using a cotton swab. Reapply the gel as many times as you want for 2 to 3 days. Menthol present in peppermint has mild anesthetic properties that numb the sensation of pain. The refreshing aroma of peppermint also helps to mask the bad breath and makes your breath more fragrant. No doubt, peppermint extract is used in various types of oral care products such as tooth pastes, mouthwash, etc. Dip a cotton swab in water and then dip it in pure peppermint oil. Press the wet cotton swab against the site with the dry socket. Wait for 10 minutes and then rinse your mouth with water. Use this remedy 2 times a day for 2 to 3 days. Neem or Indian Lilac has a number of healing properties. It’s antifungal and antibacterial qualities cuts out the chance of bacterial infection caused by food particles. Its anti-inflammatory properties soothe pain and swelling. Take a few fresh neem leaves and wash them with water. Crush the leaves in a mortar and pestle to form a paste. Apply this paste on the gum with the dry socket and leave it on. Reapply this remedy 2 times a day for a few days. Chamomile is a popular herb that contains a number of soothing ingredients which fight off inflammation of the gums, reduces pain and swelling and relieves bad breath. It also acts as a sedative that tranquilizes the throbbing pain. Boil a cup of water and add a tablespoon of dried chamomile leaves to it. Cover the container and let the leaves steep for 10 minutes. Strain the tea and drink to 2 times a day for a few days. Don’t drink from a straw – Avid drinking from a straw after having a tooth extracted. The sucking action can dissolve the newly formed blood clot. Don’t smoke or chew tobacco – nicotine from cigarettes and tobacco is a risk factor for developing dry socket. Nicotine exposure reduces blood supply available to the healing tooth socket and prevents the proper formation of a blood clot. 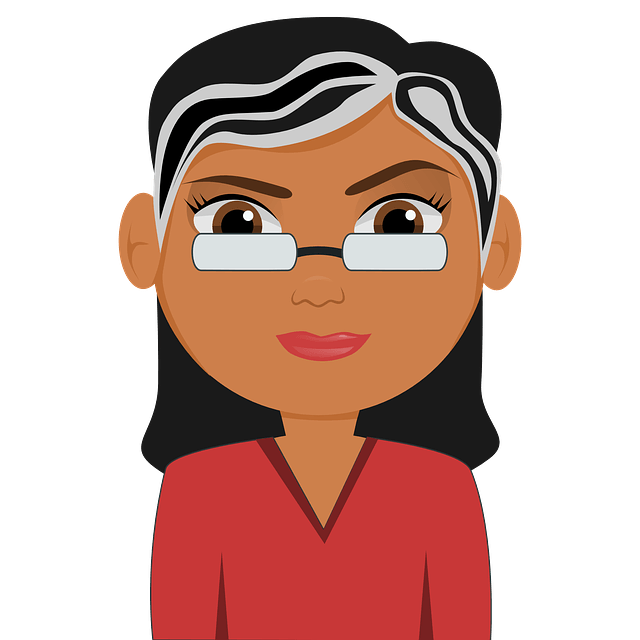 Talk to your doctor if you take hormone medications – Estrogen present in birth control pills can interfere with effective clotting. So, consult with your dentist or oral surgeon about when is the best time to perform the surgery. Disclose all medications to your dentist – Be open about all the medications supplements and over-the-counter medicines you take with your dentist to prevent adverse drug interactions and reduce the risk of a dry socket. Maintain good oral hygiene – Post surgery rinse your mouth gently and brush your teeth, but avoid the extraction site. After 24 hours, rinse your mouth with warm salt water frequently to keep your mouth bacteria-free. Take rest – After completion of the surgery, plan to rest for remainder of the day. You can resume normal activities from the next day but avoid rigorous physical activity or exercise for 1 week to prevent dislodging of the blood clot in the socket. Eat soft foods and fluids – Eat only soft foods such as yogurt, pudding and fluids such as soups that won’t put pressure on the site of the extraction and won’t stick to your teeth or gums. Sleep with your head elevated – Keep your head elevated with a few extra pillows for the first few days after teeth extraction to promote faster recovery and prevent dry socket. The elevated position of the head helps to tone the blood vessels and control blood volume near the wound which prevents the throb. In most cases, dry socket caused after tooth extraction get well on its own with over-the-counter pain medicines and home remedies. But it is recommended to see a doctor if the symptoms of dry socket do not respond to over-the-counter medicines or natural remedies or if the pain continues to increase accompanied with high fever and swollen lymph nodes in the jaw or neck.